Italy-based Fiocchi makes high quality ammunition, but they’re well aware that most shooters would rather not have to work a second job just to get the most out of their time at the range. 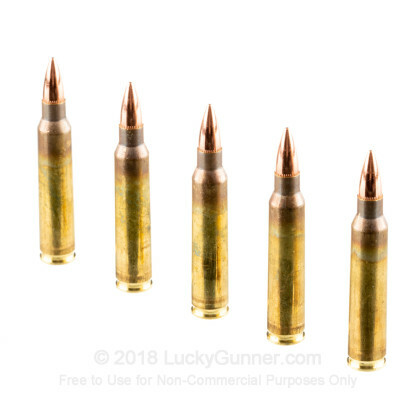 That’s why they offer their Shooting Dynamics line of ammunition -- it performs comparably to their Exacta line, but for a far more palatable price. 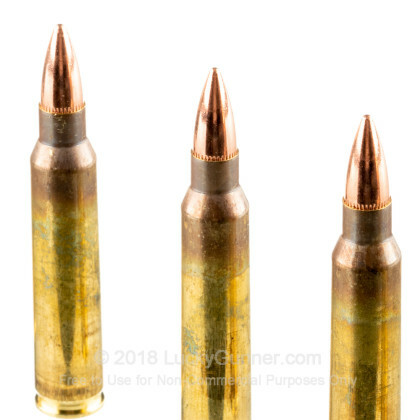 This 223 Rem cartridge sports a 55 grain projectile, which has a full metal jacket to ensure that it functions positively and doesn’t layer your rifle’s bore in accuracy harming lead residue. Nicely, the bullet’s tapered base ups its ballistic coefficient to ensure an accurate shot with a flat trajectory and high energy delivered at the moment of impact. These five convenient field packs are filled with 200 rounds each. 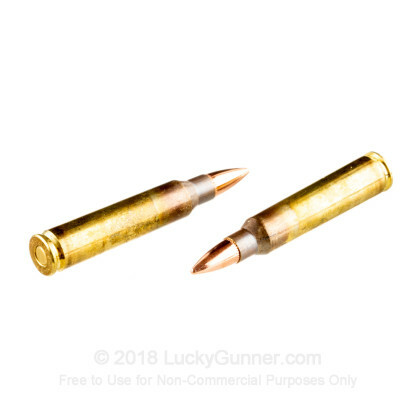 If you’ve ever felt like a goober trying to juggle ten boxes of ammo at the range at once, dropping one or two and having to stoop over to pick them up while the cool guys snicker about you behind your back, then these large and convenient packs are perfect for you. 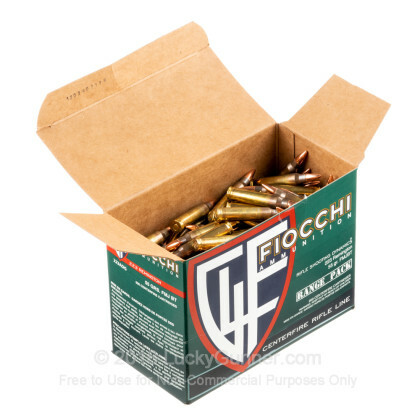 We don't have any reviews yet for this particular .223 Remington ammo from Fiocchi. 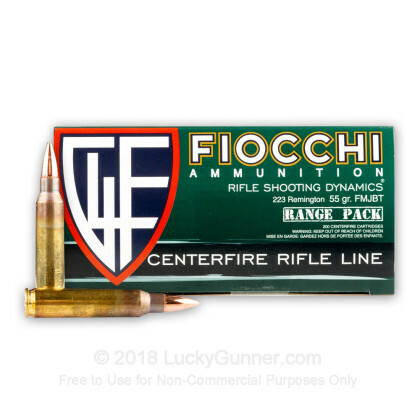 If you'd like to be the first to review this particular .223 Remington ammo from Fiocchi, fill out the form below. 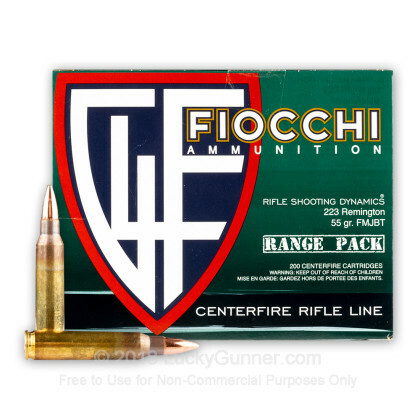 We also have this 223 Rem - 55 Grain FMJBT - Fiocchi Shooting Dynamics - 200 Rounds ammo in stock in a smaller quantity.